Oh no! It’s that time again. Disrupted by the time change once again. 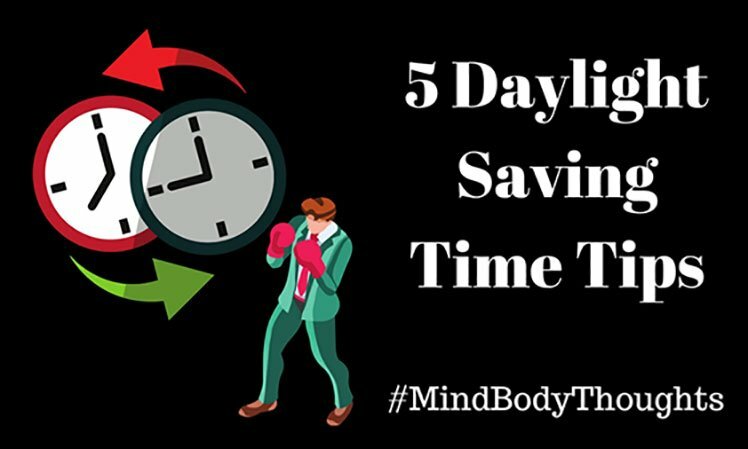 Keep reading for 5 Daylight Saving Time tips. I hate this moment, and for the life of me, I don’t understand why we do it. Yes, I know that “they” put facts out there saying it helps save energy and that it helps make use of the daylight during the summer. I’m sure some don’t care about it one way or the other. For those of us who feel with what is happening around us, it impacts us significantly. I guess places that sell coffee have an increase in sales right after Daylight Saving Time is adjusted. Disrupted by Daylight Saving Time is how I see it. It impacts the mind body in my view. It creates stress upon the body. When it does those things, we either store that stress or we numb to it. A few may know of ways to discharge it, but regardless it is stress upon the body. According to an article published in The Telegraph, Joseph Gannon, Chief Sleep Physiologist, and Clinical Lead at The Sleep Disorders Clinic believe if you’re healthy, young and have a good amount of sleep, there is little concern. If you’re sleep deprived, you will be more affected by the time change. Harvard Health Publishing quotes Winston Churchill as saying, “we borrow an hour one night in April; we pay it back with golden interest five months later.” As stated in the article, the shift in the body’s daily sleep-wake cycle can disrupt sleep for several days. Winston Churchill’s view is optimistic at best. Even though you adjust your alarm clock, and your electronic devices often adjust automatically, it does not fool your internal mind and body clock. The circadian rhythms are a series of internal variations in the body controlled by the brain, according to a HuffingtonPost.com article. This same article goes on to state how not only time change impacts our internal clocks, but so does electronic light. They suggest that camping could help reset our mind body to a more natural rhythm. Be aware of seasonal depression. A team of researchers at a Danish hospital saw an increase in hospital admissions for depression as winter arrived. They also found that in the month immediately following a time change, the incidence of depression spiked. If you want more evidence of how the time change impacts the mind body, there was a study done of consumer spending by JP Morgan Chase. In this study, they compared Los Angeles, which observes Daylight Saving Time, to Phoenix which does not have it. In the study, they found that after the time change in the fall, there was a 3.5% drop in spending for the month following. Here are some tips for helping reset your internal rhythm from Daylight Saving Time. I found many ideas on how to do this from searching online. Keep in mind that what works for some may not work for everyone. Find what helps you. Make an agreement with yourself that you’re going to set aside a proper amount of time to sleep every day. Find a bedtime that works and stick to it. Some suggest going to bed and waking up 15 minutes earlier each day about four days before the time change. By the time Daylight Saving Time arrives, you’re already fully adjusted. One idea I saw was to expose yourself to bright light each morning. Light helps the photoreceptors in the retina and sense light and dark. Short naps can be helpful to help adjust to the time change. Make sure you don’t take naps too close to bedtime, or it may disrupt your sleep. Exercise can also help you adjust to Daylight Saving Time and sleep better. Finding a regular time to exercise can also help adjust the internal rhythm in your body. Many people have Daylight Saving Time tips that they think works, but I’m not sure how many of these are proven. It is easy to come up with what everyone should do. However, we need more research done to understand this fully. So take the Daylight Saving Time tips with a grain of salt. These are some good ideas that may or may not help. Find what works for you. Realize that no matter what, it is an adjustment period for everyone. Beware of the cranky people around you! Remember, you might be one of them. Time change disrupts everyone’s sleep cycle and circadian rhythm. Also, take good care of yourself during this time. Schedule a massage or ease up on things for a day or two. Give yourself a chance to catch up and adjust. After a few days, it will begin to get easier. The time change does create stress on the mind and body.